Step into the Ariel Motor Company’s Somerset HQ and the first thing you’re greeted by is a 3HP Quadricycle built by the firm’s namesake in 1901. In some respects there are parallels to its modern counterparts sat on the opposite side of the foyer. Both feature a lightweight construction, minimal bodywork and a mid-mounted petrol engine. But that’s where the similarities end. The original company is sometimes credited with having created the first commercially available bicycle. Although best known for its later motorcycles, it was also an early pioneer of the British car industry, with an Ariel Simplex listed among the vehicles on the grid for the first ever race at Brooklands in 1907. However, car production ceased in 1925 and the motorcycle business closed its doors in the late 1960s. The name was revived in 1999 when former Porsche and Aston Martin designer Simon Saunders set about pursuing his dream of creating a lightweight, minimalist sports car. 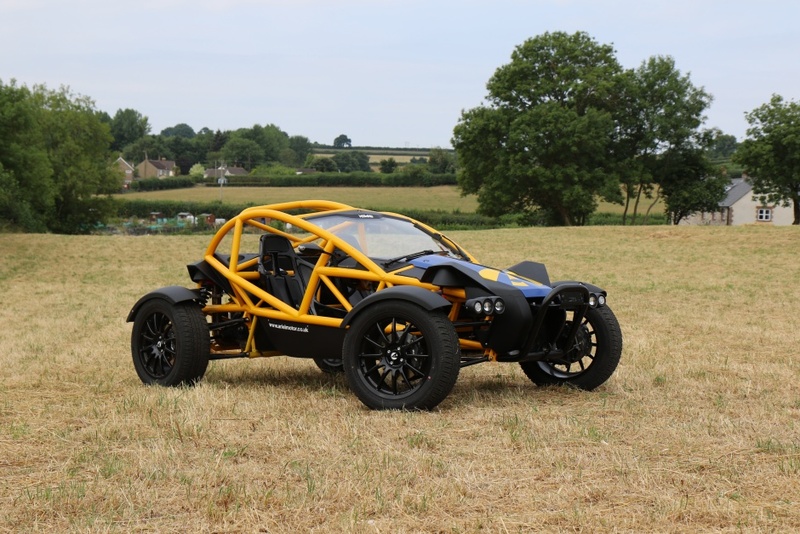 That design would go on to become the Ariel Atom and it has been evolving into progressively wilder iterations ever since (including one particularly bonkers example with the company’s own 3-litre V8, loosely based on two four-cylinder motorcycle engines grafted together). The Atom’s defining feature has always been its steel-frame exoskeleton design. This is a glorious combination of form and function, with the sculptural aspect of the exposed tubes backed up by high torsional rigidity and low weight. Although very much a road and track toy, there was a hint of dune buggy about the Atom’s appearance, which soon prompted enquiries about an off-road version. To describe the Nomad that you see here as an off-road Atom would be doing a disservice to what is, in fact, a completely new design. Every single tube in the chassis is different and there are only a handful of components shared between the two cars. The philosophy, however, is very similar and there’s the same overriding sense of quality that distinguishes Ariel from a lot of other low-volume sports car brands. The cars are assembled on-site in Somerset, but the company draws upon the UK’s rich automotive supply chain for its components and sub-assemblies. 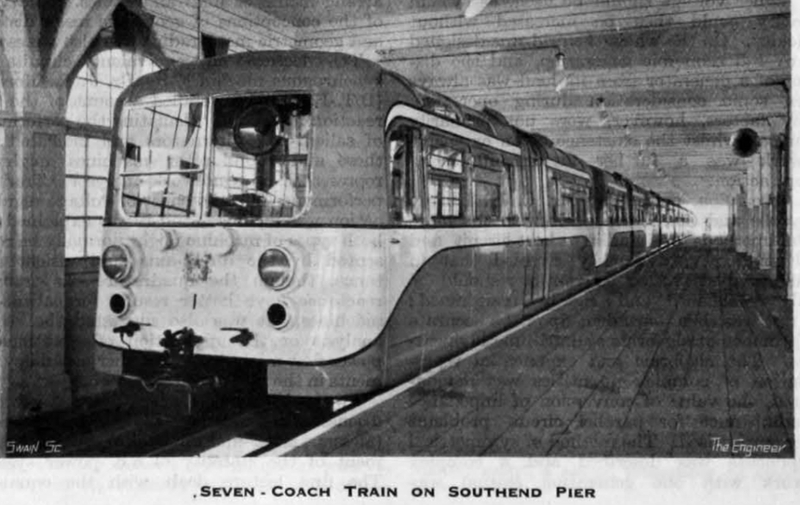 The chassis, for instance, are fabricated by Arch Motors in Huntingdon. They start life as a mixture of 12, 14 and 16 gauge cold drawn steel tubes that are joined using a combination of bronze, TIG and MIG welding before being phosphated and powder-coated. The brakes come from Alcon in Tamworth, while the digital dashboard display hails from Race Technology in Nottingham. Honda UK supplies the firm’s engines, although the Nomad actually uses the 2.4-litre four-cylinder unit from the US-spec Honda Civic Type S. This is torquier than the 2-litre engine from the previous-generation Civic Type R that was used in the Atom until it made the switch to forced induction earlier this year. As standard, the Nomad remains naturally aspirated, but for around £4,000 Ariel will fit a supercharger kit that lifts its output to 300bhp and 300Nm of torque. Those figures might not sound like much in an age of 600 bhp estate cars, but the Ariel’s secret weapon is its power-to-weight ratio, and it uses it to devastating effect. With an all-up mass of 680kg, the Nomad is ferociously fast; its claimed 0-to-60 mph time of 3.2 seconds matches that of the McLaren 570S and the Lamborghini Huracán. And this, don’t forget, comes from a machine designed to negotiate muddy fields and rock-strewn tracks. 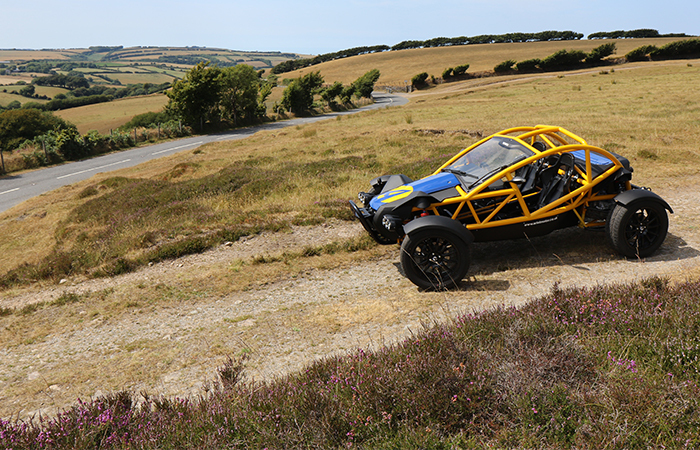 We didn’t do either of those things in our time with the Nomad, but we did head for the blissfully empty roads of Exmoor, where it proved to be more than up to the job of playing the road-going supercar. You swing yourself in through the roll cage, Dukes of Hazzard-style, and prod a button to start the engine. It sounds gruff and a touch industrial at idle, but above about 4,000rpm the supercharger takes over with a banshee wail that’s part buzzsaw and part divebomber. Lift off the throttle to change gear and the exhaust pipes turn into trumpets. Come to a corner and the depth of engineering that’s gone into the Nomad once again becomes apparent. 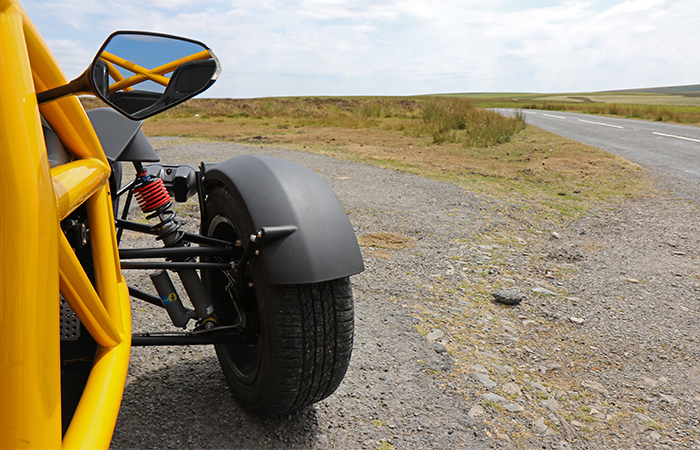 In order to accommodate the wheel travel required for off-roading, the Atom’s pushrod-operated inboard suspension has been dropped in favour of a more conventional outboard set-up. It’s also a good deal more compliant than its track-focused sibling – even with the adjustable suspension in a relatively road-biased set-up. And yet somehow it still feels scalpel-sharp; scything through the bends in the way that only a lightweight mid-engined car can. In some respects, the Nomad actually makes a better road car than the rather hyperactive Atom, but its real strength is versatility. That might sound like an odd comment for a car where even a full-sized windscreen is an optional extra, but consider it in the context of a Sunday afternoon blast and suddenly things start to make sense. No other car on the market is capable of driving from a race track to farm field via a B-road and feeling equally at home in all three environments. Yes, it’s a toy, but it’s also beautifully engineered, exquisitely made and quite unlike anything else on the road. A toy? Perhaps but not just one. I suspect there are a lot of applications for off-the road high speed logistics/travel- military? 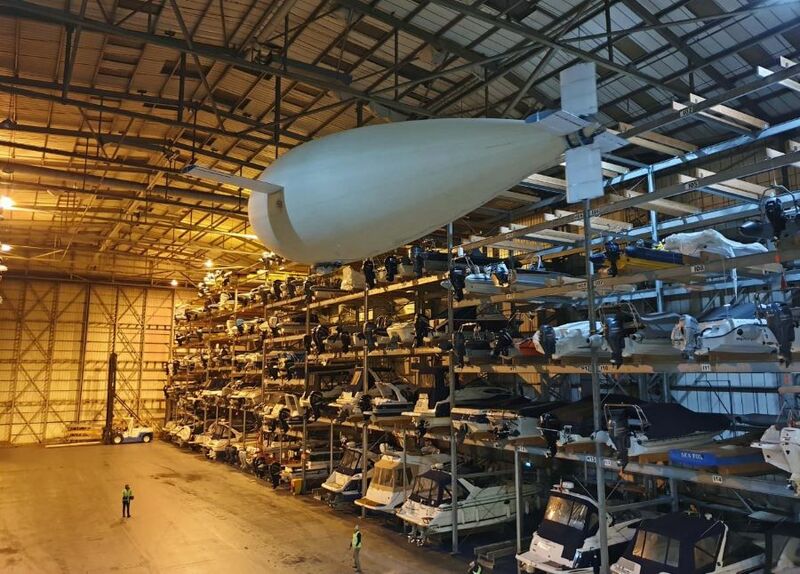 UAV technology has grown from “toy” helicopters; innovation is an attitude of mind – often grasping ideas (possibly new) that are in plain sight. Great to hear of a car company producing something different than the module module car sales people claim as style. I wonder what the SAS would have made of this during WW2. How long do you think it will be before the ‘PC Brigade’ demand it is all electric? won’t be quite the same I am sure without the throaty roar of the exhausts. Fantastic ‘car’ though as said it is reminiscent of a dune buggy but I could easily see the attraction to the military. wonder why they didn’t use aluminium tubes: both for weight and a nice shiny anodised finish? Probably because of the reality that this is a low volume, hand built tube frame and You Cannot Weld Aluminium, at least not without charging silly money. A steel frame is probably the best choice because this thing is potentially going to get an absolute pounding, and the small amount of extra weight that is incurred (And this thing seems light enough as it is.) is made up for because it can then be repaired. https://www.army.mod.uk/equipment/reconnaissance-vehicles/ The Jackal is what the army uses these days, anything lighter can’t carry the kit. Fast attackbuggys and Northumberland really don’t mix.